Mark Holden’s life has been so much more that the king of the Australian Idol ‘Touchdown’. 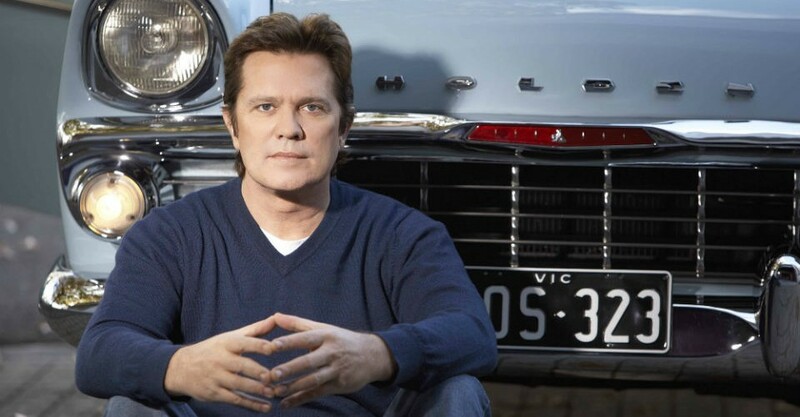 A singer, songwriter, actor and TV personality, he once lived the dream life as part of his family’s once-famous Holden Brothers Travelling Circus. Taking inspiration from all of those colourful life experiences, Holden shares songs and stories from his own history and weaves it into that of his family’s circus lives. 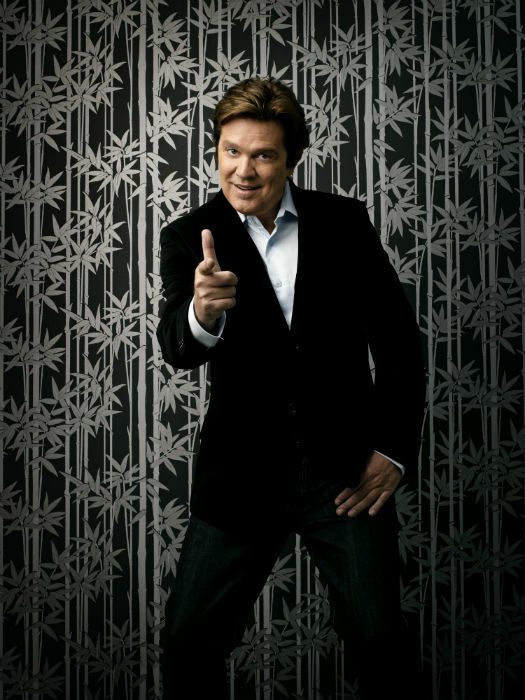 From Countdown to Australian Idol and Dancing With The Stars to working with great artists such as The Temptations, David Hasselhoff and Vanessa Amorosi, Holden shares the highs and lows, the humour and circus traditions along to a classic footage that provides a alluring backdrop to the tales of his life. Bián Hickman speaks with Mark Holden, via email, and kicks things off on a light hearted note by asking if the barrister life starting to lose its lustre already? (Is this your way of saying “bugger it, I think I’ll join the circus”?). The subject matter within this show seems to follow (chronologically) some of your great achievements; does this mean there may be a guest appearance or two from people in these bands/shows you’ve been involved in in years past? “It’s been a wild ride. I’ve been a part of some the great circuses – like Countdown in the ‘70s,” Mark says. “I hosted the big Royal Silver Jubilee Countdown where Molly asked Prince Charles, ‘How’s your mum?’ It was huge! Who was involved in the writing process for the new material? Do you normally collaborate when writing or do you prefer to work alone? As a producer and songwriter of many years, in your opinion what makes a good song? For context, there’s a character in Oscar Wilde’s Picture of Dorian Gray named Harry who says “All influence is immoral; to give one’s influence is to give one’s soul and you become a part of someone else’s music.” Some composers would feel that they need to avoid influence while they are writing. Is this something you agree with? Further to that, there have been a lot of people who think musicians have a responsibility to reflect upon the world through politically influenced lyrics (a philosophy taken from Bob Dylan’s time, perhaps? ), whereas Alice Cooper’s philosophy is exactly the opposite, in fact, he said to write a song about your girlfriend instead. Where do you think you stand between these two ideologies? “I’m about to do a limited release of a CD called Mark Holden – The Lost ‘80s Album,” Mark says. “It’s a collection of songs I recorded in the ‘80s when I was a journeyman songwriter in LA. Looking back on all those songs and recordings I was rewriting the same song over and over again centred on my relationship with my now wife and the ultimate conception and birth of our now 22-year-old daughter Katie. What can audiences expect to see at your show? What, if anything, are you most hoping for them to learn? Will there be things that we’ll learn about Mark Holden that we’ve not known before? What is your favourite moment and/or song in the show, and why? “There’s a shot I have of my great grandfather Bill Holden and two of his brothers, Jim and Jack Holden, from their cabaret act at the Tivoli Melbourne from sometime around 1880. Two of the brothers are in black face – it’s politically incorrect to the max but a true historical artefact and I riff on that from the current point of view looking back on the 1880 perspective. Click HERE check it out Travel By Train which includes classic footage of Holden Bros. Circus. Are you finding this a cathartic process, or maybe just an enlightening experience? “It’s a great pleasure performing this show,” Mark says. “That said I’ve only performed it four times so far, so it’s still brand new. I did an off Broadway warm up performance a couple of weeks ago to an audience and was stoked at how well it was received and how effortless it was once I was up on my feet and performing. Mark Holden’s Greatest Show On Earth performs at Dunstan Playhouse, Adelaide Festival Centre, at various times on Wed 13 Jun until Thu 14 Jun.